University of Nebraska Press, 9780803211247, 496pp. Mort Zachter examines Hodges’s playing and managing days, but perhaps more important, he unearths his true heroism by emphasizing the impact that Hodges’s humanity had on those around him on a daily basis. Hodges was a witty man with a dry sense of humor, and his dignity and humble sacrifice sometimes masked a temper that made Joe Torre refer to him as the “Quiet Inferno.” The honesty and integrity that made him so popular to so many remained his defining elements. 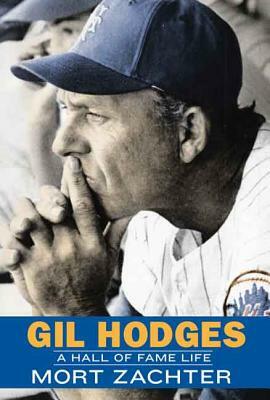 Firsthand interviews of the many soldiers, friends, family, former teammates, players, and managers who knew and respected Hodges bring the totality of his life into full view, providing a rounded appreciation for this great man and ballplayer. Mort Zachter is a former tax attorney and adjunct tax professor at New York University. His first book, Dough: A Memoir, won the 2006 Association of Writers and Writing Programs Book Prize for nonfiction.